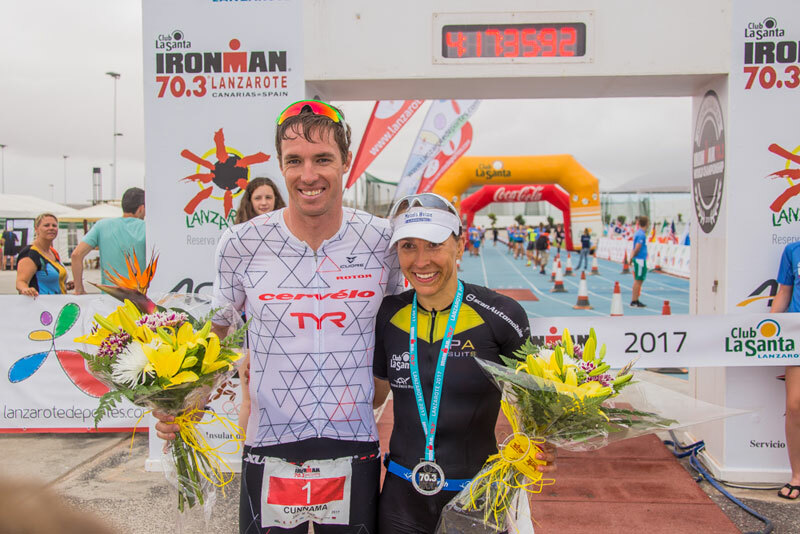 South African pro athlete James Cunnama smashed the Club La Santa IRONMAN 70.3 race on Saturday 02nd September 2017, slashing almost 17 minutes off the previous record set by Spain’s Eneko Llanos in 2015. As expected, the new bike course produced faster bike splits, which together with overcast skies and light winds, provided the perfect conditions for a record-breaking performance. First out of the water was Spanish 70.3 rookie Emilio Aguayo (00:22:31), only 3 seconds in front of first female, Lucy Charles, and Holland’s Martin Dekker. Aguayo led the pack up to the first turn point, when Markus Rolli caught up, with James Cunnama close behind. The South African pushed the pace, taking the lead at around 30 km on the bike, dominating right up until the finish line. 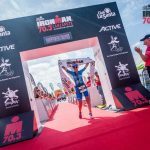 Spain’s Emilio Aguayo put in a fantastic performance on his 70.3 debut, to finish second behind the 2017 IRONMAN Hamburg champion. 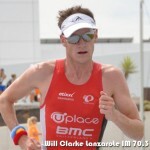 ‘This fast circuit is ideal for me, the conditions were perfect, being cloudy with light winds. My best results are usually when I´m under the least pressure and I really wasn’t focussing on reaching the podium. I’m really happy with my performance today.’ Aguayo said. Third place finisher, Germany’s Markus Rolli, was later disqualified during the run course, conceding his podium spot to 2016 runner-up, Belgian Kenneth Vandendriessch: ‘I had a good swim, but the guys pushed so hard out on the bike today, I couldn’t take them. I really liked the new course, there are some perfect small climbs, and I managed an average of 40.5 km/hr today compared to last year’s 36 km/hr. The run here is underestimated, very hard, so it was a tough race today.’ He told us. Sprint and Olympic distance specialist, Ricardo Hernández Marrero gave the best Canarian performance, finishing in ninth place. 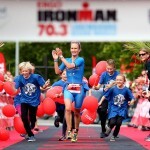 Olympic distance specialist Anne Haug, also debuting at half IRONMAN distance, powered past her during the second loop. Haug took the win, breaking Jodie Cunnama’s run course record with an incredible 01:18:15 and finishing some 8 minutes in front of Charles: ‘I really didn’t expect that, being my first 70.3. Running is my strongest discipline but I´ve never done a half marathon after 90 km! But I train a lot at Club La Santa during the year, so I´m in great shape and pretty happy!’ beamed our champion. Third placed Michaela Herlbauer (GER) completed the podium, almost 17 minutes behind Haug and 9 minutes after second placed Charles. Spain’s Anna Noguera finished in 5th place some 25 minutes behind the winner. Neither Alessandro Degasperi (ITA) nor Svenja Thoes (GER) finished today’s race: Degasperi dropped out during the half marathon, fatigued and having observed a progressively low heart rate. 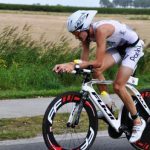 Degasperi put this down to his intensive training period in preparation for Kona, whilst Svenja Thoes had a flat tyre and had to withdraw from the race.